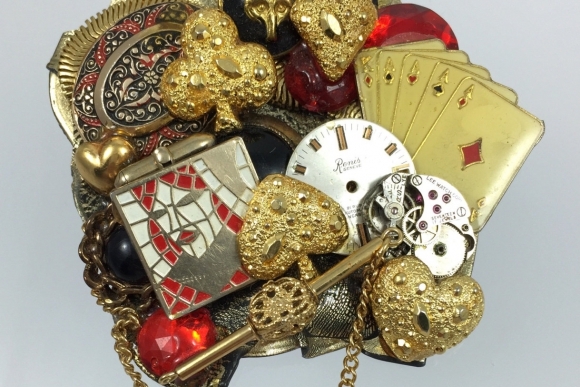 This artisan signed and numbered, steampunk collage brooch is titled 7 No Trump and is composed of upcycled parts expressing a playing card, bridge theme. 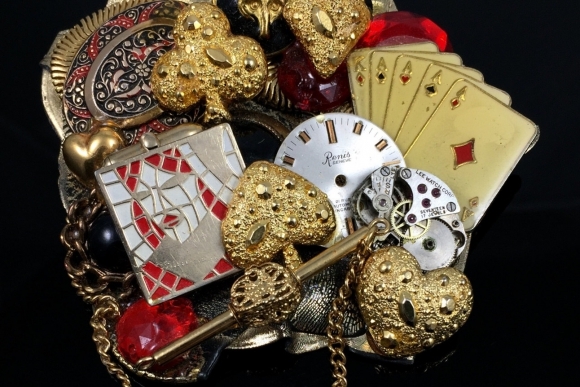 Assembled with jewelry and parts including; heart, spade, diamond, and club buttons, a Queen of Hearts cufflink, playing cards of all aces and the king of diamonds, watch movement and dial, chain, and various buttons. Signed DY in script with a heart. 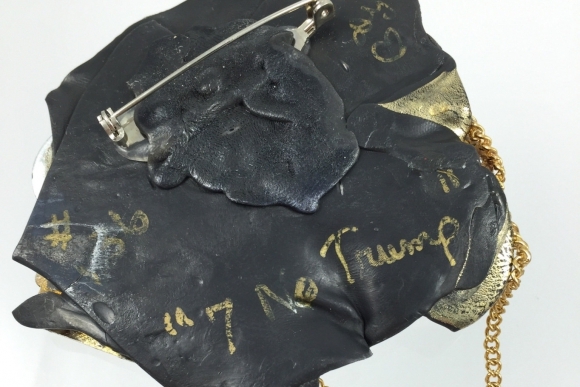 Numbered #156 ( I think, it is hard to read), and titled 7 No Trump. 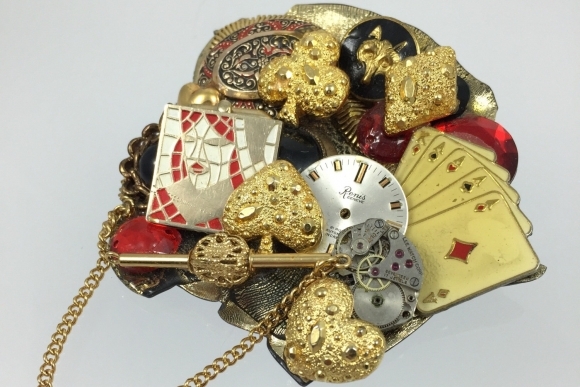 This is a fabulous vintage brooch for any playing card or bridge enthusiast! Measures 3.25 x 3. Good condition. Some of the backing has chipped. The place where the brooch is numbered appears to have broken off and been glued back. I have researched this brooch, but have not been able to identify the maker or pinpoint the age. 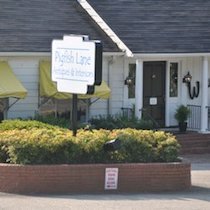 I suspect it is from the 1980s.